Ceramic and Porcelain Tiles Floor Cleaning. 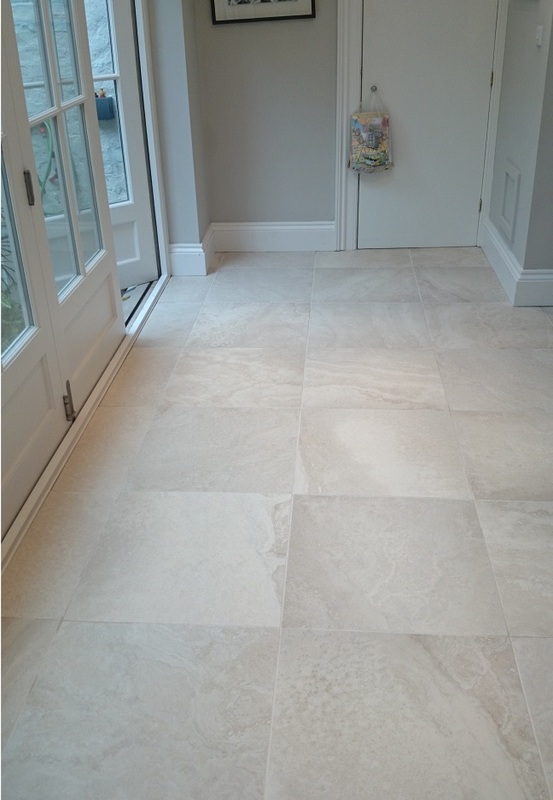 Although not a natural stone and therefore cannot be diamond polished both Ceramic and Porcelain tiled floors can trap dirt which standard cleaners will not remove, this means they look unsightly and be unhygienic. 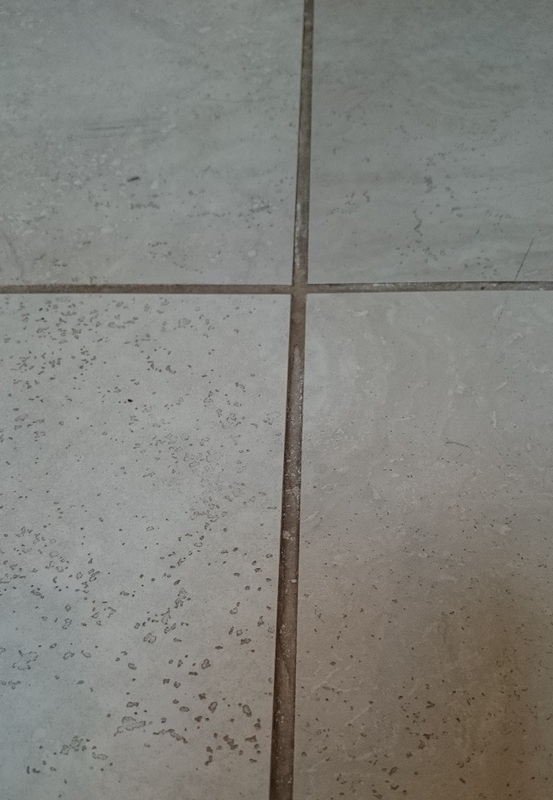 Another common problem is with the grout lines between the tiles these too can spoil the look of your floor, this is where Bond Stone Cleaning can help. Below are some images of a Porcelain floor which was in need of deep cleaning. 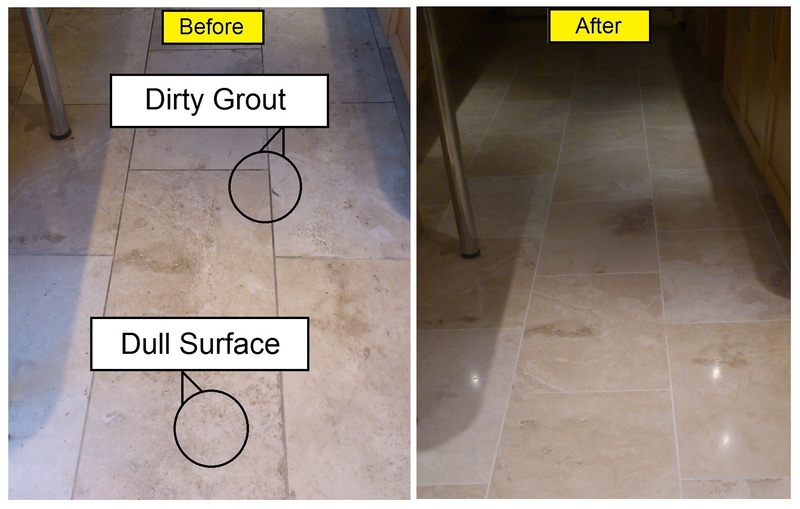 As the images show the grout line and tiles were trapping dirt, after cleaning the tiles were easier to maintain. 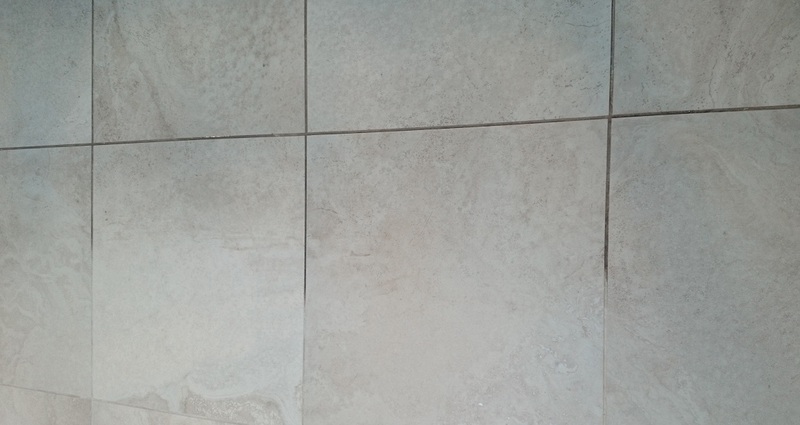 Problems with Ceramic and Porcelain Tiled Floors: Dirt trapping on top of tile, in the pores of the tile and in grout line making the floor look dull and dirty. 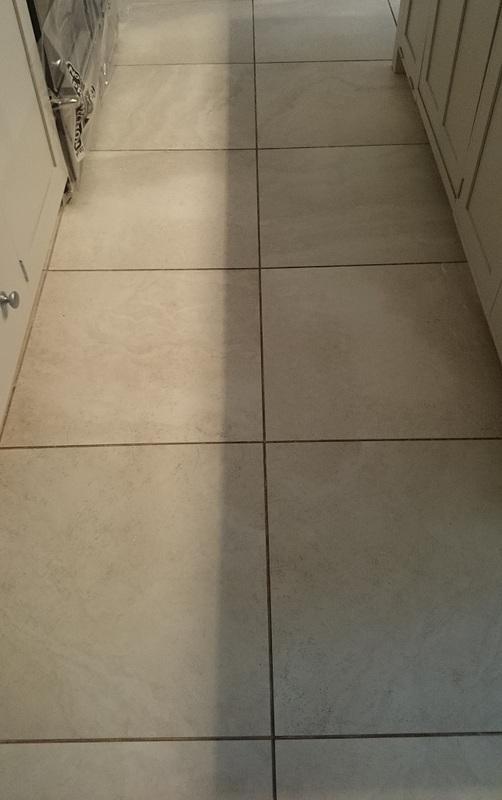 Solution: With professional cleaning solutions and commercial rotary machines a deep clean will remove the dirt and clean the top of the tile from debris and in some cases the dirt trapped in the tile pores. Further information on Ceramic and Porcelain tiles. Are Ceramic and Porcelain tiles porous? 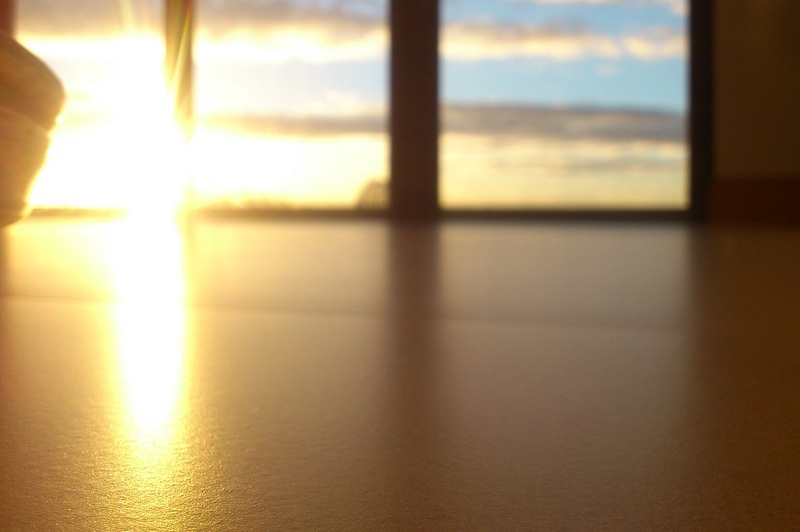 Answer is Yes, The pores are voids or gaps often created by air in the manufacturing process. 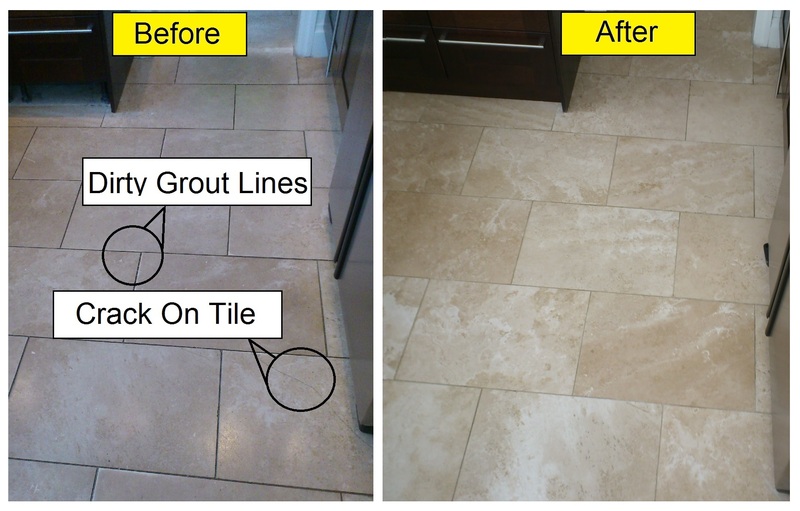 These pores if on the surface of the tile can trap dirt and other debris which can alter the look and feel of the tile. The porosity in Ceramic and Porcelain tiles can be measured by weighting a tile, then soaking it in water for 24 hours then wiping dry the surface of the tile and weighing again, the weight difference will show how porous the ceramic or porcelain is. 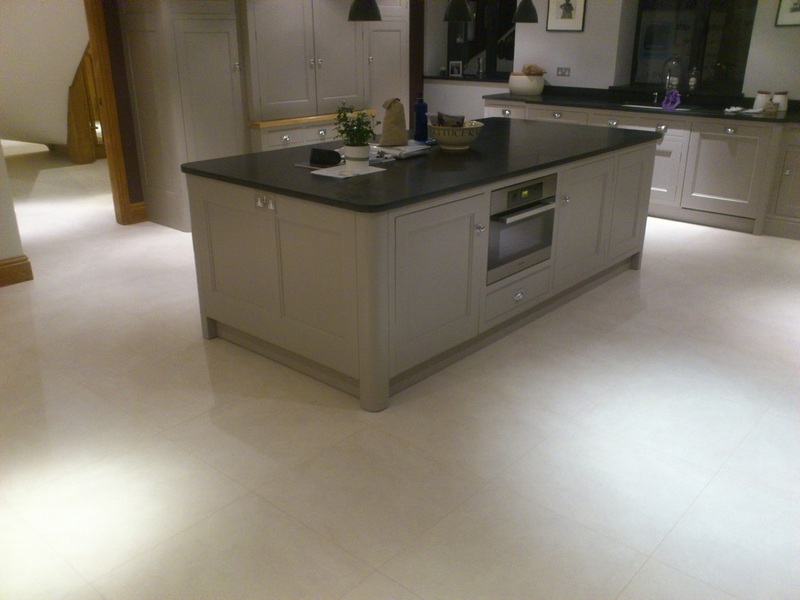 Both Ceramic and Porcelain are great lower maintenance tiles. With regular maintenance they keep clean and look great for a longer time than many porous natural stones. The surface cannot be diamond polished so once the surface is damaged replacement are needed. Cracks or holes can be filled however once the structure of a ceramic or porcelain tile is damaged it is common for the tiles to breakup.